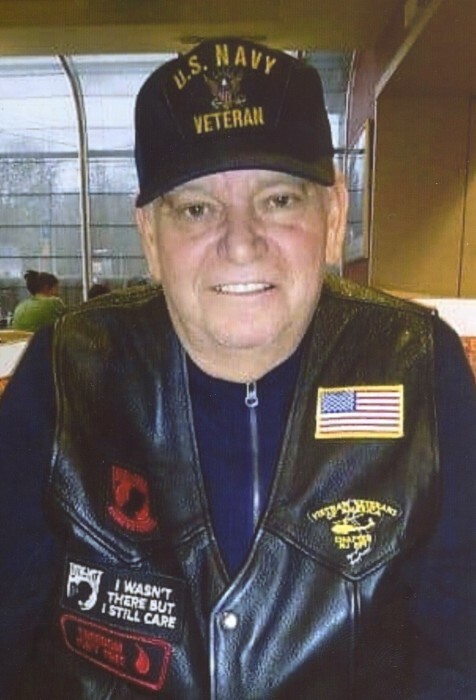 Obituary for David Frank Palmieri, Sr.
David Frank Palmieri, Sr., age 70, of Morrisville, PA, passed away peacefully on Wednesday, April 10, 2019 at his home, surrounded by his loving family. Born in Trenton, NJ, Mr. Palmieri lived in Groveville, NJ before moving to Morrisville 10 years ago. David was a proud Veteran, serving in the U.S. Navy and Naval Reserves. He was a member of the Vietnam Veterans of America, Chapter 889, the Christian Writer's Association, as well as the New Jersey Beach Buggy Association. He was also a member of Calvary Full Gospel Church. Mr. Palmieri enjoyed fishing, reading and writing, especially poems. Son of the late Frank Samuel and Wanda (Woiterwicz) Palmieri, he is survived by his loving wife Rosanne A. (Cubberley) Palmieri, a son and daughter-in-law David Frank, Jr. and Christine Palmieri of Morrisville, a daughter and son-in-law Jessica Susan and Samuel Colombino of Philadelphia, a brother and sister-in-law Joseph and Lucille Palmieri of Cream Ridge, NJ, a sister and brother-in-law Joan and Lance Rizzuto of Jackson, NJ, four grandchildren, Amanda Lynn Palmieri, Jacqueline Marie Palmieri, Anna Rose Colombino and Samuel Joseph Colombino, IV, as well as many nieces and nephews. Relatives and friends are invited to attend his funeral service at 7 PM on Monday, April 15, 2019 at the J. Allen Hooper Funeral Chapel, 41 W. Trenton Ave., Morrisville, PA. The Reverend David Farina, Pastor of Calvary Full Gospel Church, will officiate. Interment of his cremated remains, with military honors, will be held on Thursday, April 18, 2019 at 2:30 PM at Washington Crossing National Cemetery, Newtown, PA.
Friends may call Monday evening from 5-7 PM at the funeral chapel. In lieu of flowers, the family requests memorial contributions, in David’s name, be sent to St. Jude’s Research Hospital for Children, 501 St. Jude Place, Memphis, TN 38105, or www.stjude.org.